Unsustainable health care costs are a leading cause of “financial toxicity” for Americans (1). While the Affordable Care Act is expanding coverage for many, the bill does not address the approximately 29 million people who are underinsured nor how physicians’ decisions regarding new and more expensive treatments are having a growing impact on patients’ bottom lines. Nowhere is this more apparent than in cancer treatment. Between 20-50 percent of cancer survivors report some degree of financial distress associated with cancer-related expenses (2). In patients with a cancer diagnosis, these expenses are often coupled with a drop in annual income and increased unemployment rates as soon as five years after the diagnosis (3). Significant changes are also seen in patients’ daily living habits, with 80% of distressed patients scaling back on basic necessities such as food, clothing and household bills (4). A cancer diagnosis is a strain on a family’s financial reserve especially considering that 41 percent of US households do not have the liquid savings to cover an unexpected expense of $2,000 and one in three American families has no savings at all. This financial insecurity is more apparent for families with lower income levels and is also influenced by race, as demonstrated by the fact that one in four African American households have less than $5 after liquidating all financial assets (5). Put together the lack of financial security faced by many households and the exorbitant expenses of cancer treatment and the outcomes are striking. In one study, patients with lung or colorectal cancer were asked: “If you lost all of your current sources of income (for example, your paycheck, Social Security or pension, public assistance) and had to live off of your savings, how long could you continue to live at your current address and standard of living?” 33-40 percent responded with less than 2 months, offering an insight into the level of financial distress they were experiencing (6). A growing problem looms in oncology. As the population ages the prevalence of cancer will likely increase along with America’s underinsured population. Unfortunately, oncologists are currently not adequately equipped to address this problem. Furthermore, as radiation oncology continues to implement new technologies (image-guidance, stereotactic ablative therapy, proton therapy), there will be a growing need to address the cost-effectiveness of these advancements. A commonly overlooked “side-effect” of our insatiable need to improve our techniques is the financial burden on patients, a burden that has been shown to be the strongest independent predictor of poor quality of life, negatively impacting not only a patient’s physical health, but their mental health and relationship satisfaction as well (5). 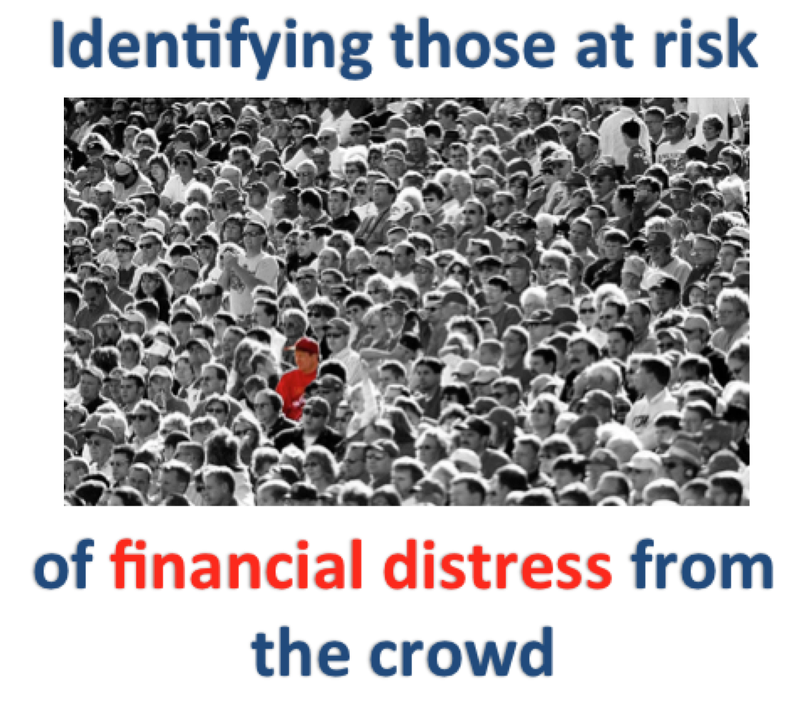 However, to date there are no validated tools that identify patients at risk of financial distress and thus, there are no good pathways to best identify and treat financial hardships. A discussion about the financial burden to patients should be considered as a required component of the informed consent of care and should be facilitated by a universal screening tool for patients at risk for financial distress. A potential screening tool, developed specifically by physicians, is called the Comprehensive Score for Financial Toxicity. The COST score focused on patient-reported outcome measures (COST-PROM) is an example of a tool that can accurately screen for risk of financial toxicity as it relates to each patient’s individual experience (7). This eleven-question measure could be offered before any treatment begins as well as throughout the treatment regimen to routinely evaluate patients’ financial health. Ideally the measure would be filled out after a discussion with the patient about the possible financial burden of care. The medical oncology community has recognized the importance of financial distress for patients and has instituted a national ASCO Cost of Care Task Force, which has notably pushed the “Choosing Wisely” campaign of cost-effective and value-based practices. This campaign aims to educate providers about appropriate medical testing and management; for example, the perhaps futile role of PSA levels for screening for prostate cancer. In the radiation oncology community, similar large national organizations such as the American Society of Radiation Oncology (ASTRO) will be paramount to establish guidelines and task forces to address issues specific to radiation oncology patients. Presently, ASTRO does not have a task force and ASCO’s task force is still in its infancy. Led by efforts of the up-and-coming oncologic task forces, the implementation and validation of a screening tool, such as COST, would be a simple and straightforward path to start addressing these burdens before they became even greater. Given the evidence that a lack of financial reserves to manage cancer care affects symptom burden and quality of life at least one year after diagnosis (8), it’s our duty as physicians to not only treat our patients with the best medical care, but also work to ensure that they have the freedom to enjoy their life without experiencing financial toxicity from the care they receive. Jordan Silberg is a medical student in the Sidney Kimmel Medical College Class of 2019. 1. Zafar SY Peppercorn JM Schrag D et al. The Financial Toxicity of Cancer Treatment: A Pilot Study Assessing Out-of-Pocket Expenses and the Insured Cancer Patient’s Experience. Oncologist. 2013; 18 (4): 381 – 390. 2. DeNavas-Walt C and Proctor BD, U.S. Census Bureau, Current Population Reports, P60-249, Income and Poverty in the United States: 2013, U.S. Government Printing Office, Washington, DC, 2014. 3. Zajacova A., Dowd J.B., Schoeni R.F., Wallace R.B. Employment and income losses among cancer survivors: Estimates from a national longitudinal survey of American families. Cancer. 2015;121(24):4425-32. 4. Duke University Medical Center and Dana-Farber Cancer Institute study, sponsored by HealthWell Foundation, 2011. 6. Lathan CS, Cronin A, Tucker-Seeley R, Zafar SY, Ayanian JZ, Schrag D. Association of Financial Strain With Symptom Burden and Quality of Life for Patients With Lung or Colorectal Cancer. Journal of Clinical Oncology. 2016 February 29. 8. Fenn KM, Evans SB, McCorkle R, DiGiovanna MP, Pusztai L, Sanft T, et al. Impact of financial burden of cancer on survivors' quality of life. J Oncol Pract. 2014;10(5):332-8. Cutting and Pasting DNA—we can do it, but should we do it?